We also manufacture colour coated corrugated sheet, slit coils and colour coated coils. Galvanized corrugated sheets also produced. 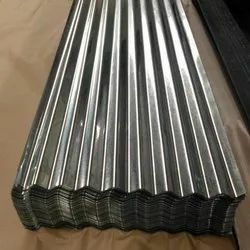 We manufacture and export galvanized corrugated sheets/ Plain Sheets.We supply our broad product range as stretch leveled and skin passed in variety of grades like deep drawing and ordinary. The diverse product offering of our company has raised the growth chart of our company and increased in our annual production. In order to retain our goodwill in this industry, we are providing a latest array of Galvanised Corrugated Sheets. 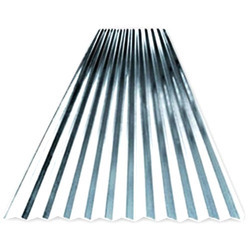 With our vast experience knowledge in this field, we are engaged in providing a quality-assured range of Galvanized Corrugated Sheet.